Levi van Veluws work premieres at C-Space gallery in Beijing, China. The exhibition, curated by Maria Rus Bojan, will display over 30 pieces from 15 artists from Argentina, The Netherlands, England, Romania, Israel and China, including newly created work. 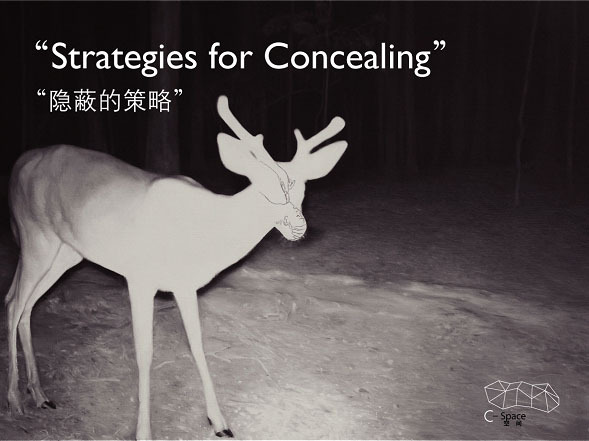 this international group of artists, many of whom are showing in a Chinese context for the first time, the exhibition â€œStrategies for Concealing proposes an investigation on how artists produce new meanings by using, appropriating or subverting camouflage techniques and practices.